This section has some books that cover an issue fully or partially, and it is going to be a growing section. If you are a publisher, author, or the copyright holder of any Coptic books, and you'd like to have them published here at the Church's website, contact us so we arrange it.. We would like also to our Holy Father the Bishops, Priests and laymen that gave us the permission to publish their works and researches here at St-Takla.org.. And we noted that in each book or author's page.. Finally we'd like to thank our brothers and sisters that joined our "Online Service", where they help us type and revise the needed books.. 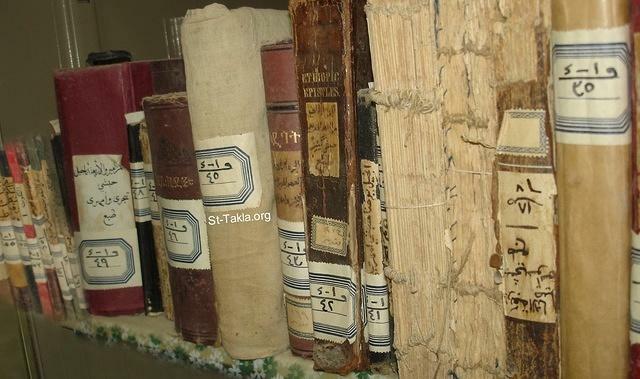 There are many more Christian books at the Arabic Christian Library كتب مسيحية عربية section here at St-Takla.org.